To kick off this mini series I’m tackling the hardest part of the challenge first – recording drums with one microphone. Since this $300 studio comes with only one microphone, we have to get a full sounding, rocking drum recording with a one mic setup. Easier said than done. In today’s video I want to show you our mic technique and then let you listen to the actual raw recording. Plus I’ll show you how a little tweaking in garageband spiced things up a bit. Enjoy! Awesome! Can’t wait to hear more! One of my favorite things to do is just shut my eyes and listen – especially when you are adding and taking away the EQ+Compression+reverb – and see if I actually can tell the difference and even on my little Macbook speakers it does make for a fuller sounding kit. Really nice job with mic placement. Wonder how long that took?? Nice! Isn’t that the Tchad Blake method of recording drums? I’ve been meaning to use it in a project. It would be great if you could explain how to came to the mic placement that you used. I think it sounds fantastic, and it would be interesting to see what you tried, how they sounded, and why you settled on the placement you did. Really great drum sound. Mic placement is important of course, but I think the biggest contributing factors are (a) a great sounding drumset and (b) a great drummer. I think the tendency is to think that we can get a great drum sound with more mics and better plugins, and that way we don’t need to worry about the sound of the kit or the skill of the drummer. And it is sometimes possible to get a good sound that way. But having a great sounding kit and a great drummer is really the key to making fantastic drum recordings. Thanks Graham! Looking forward to following along as you continue the challenge! Grahams course “REthink Drums” is a great way to hear, and see, this & other techniques explained…. Awesome advice; solid usable drum track with one mic. Do you have any tips for getting a punchier snare? Mic placement maybe, or multi-band compression? Or could the drummer just hit it a little harder? It makes me smile when I get your emails. Everyone says you can’t record drums with only one mic. So you go ahead and record with one mic, and it sounds good to me. Is this stuff you learned in school, or did you pick it up on your own? Thanks Graham. Keep your head up and please keep doing what your doing! Graham you are a GENIUS!!!!!!!!! That is a great drum sound out of just one microphone, Graham. I knew you would prove this point, as a matter of fact this is not the first time you’ve done it in your life, I’m sure. Just proves that you do know what you’re talking about. A few questions, if I may? What is that drum kit you got in your studio, what’s the brand and what are all the pieces in the kit? Will you be multing the mono drum track to several tracks and then slice up so you could treat and/or pan separate elements of the drum, like cymbals and toms? You place a normal large body hyper cardioid condenser Mic over the kick pointed towards the Snare. Smaller the kit the better I assume. Freak’n’ brilliant! Can’t wait to hear how it all pans out (really looking forward to the mixing videos to see how you find using Garageband). There are some serious phasing issues going on with that track! Excellent sound quality! I was thinking of a different method, with three overdubs, with three different mic placements, each emphasizing a different part of the drumset: snare & kick, on the first placement/dub, toms, on the second, and cymbals/hats, on the third. With different placements, some specific eq for each section, and maybe some gating, you could maybe achieve some good highlighting of each individual section which you could than place in a different position in the stereo mix. This would allow you to build a stereo image of the whole drum kit, even more so via a bit of panning automation – for instance on a left to right drum roll, or different panning automation values for the hats against the ride, etc. Anyways, looking forward to the whole mix. Cheers! Yeah, you could do that, but I don’t think it would solve the panning problem. 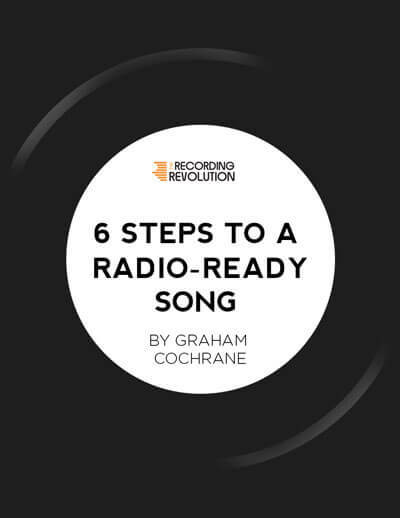 You could use panning automation for the stereo effect, you don’t need separate chunks – and I think that would be easier – but the problem still stands, in both scenarios: your source signal, the one that you’re trying to pan, would still contain the entire kit. I mean, you get a drum roll that moves the kick from a speaker to the other, or the snare inbetween, or at least the tail reverb of one or the other. This is why you need separate tom/kick/snare/cymbals dubs, exactly for that, to be able to place the different components in different places, not the ENTIRE kit in different places. Now, I get what you’re saying, by treating each chunk differently, you could achieve that separation of drum sections in each chunk, but honestly I don’t think that could work that well, because, for instance toms, kicks and snare share a lot of frequencies together – I think mostly the same range. You can’t cut one out, without cutting the other. Even the cymbals live in an area where there’s also a lot of content from the `woods`, so I think you wouldn’t be able to separate those too well, try as you might. On the other hand, recording multiple dubs with different mic placement for each individual section would get you the exact same separation of regular multi-mic recording, just that you record it in several takes, instead of a single one. Now, thinking that you probably record multiple takes `anywho`, the only additional hassle would be changing mic position inbetween takes – and you get your regular, everyday, stereo, drum recording with a single mic – you avoid the mono. Now, I don’t think mono drums are, in the end, the apocalypse (that’s only due a few years ahead), but I love me a good tom roll sliding from a speeaker to the other, and you can achieve some good sense of space and wideness with the cymbals, if you want to, reverbs, etc. The kick and the snare are centered/mono anyway, so that doesn’t make much of a difference, there. It depends on whether you could live with mono drum rolls, in the end, and centered cymbals. But there’s another thing you can’t do in a mono recording, in addition to the drum rolls and cymbal spacing. Which is, apply some good ‘caveman’ reverb on the big snare (think metal ballads), without rendering the entire track unusable. Now, again, you could use automation for that, but you’re most likely to get a hat in, as well, and maybe a couple of kick on different hits, etc. So, if one thinks it’s aorth the effort, I was just thinking how you could use one mic to even get that “serious” “state of the art” drum recording that could avoid any single objection that you might have to single miking, in opposition to multi-mic recording, that is stereo width and reverb. I thought it to be good news that you’d be able to get even that, with a single mic, with just a little overdubs. Sounds good. I really enjoy Logan’s non-crossed-up drumming style. Really opens up the right hand instead of being tied the the hat. Terrific, Graham. I’m just wondering if you tried omni and figure-8 coverage with the same mic and if so how it sounded. This mic I’m using is only cardioid – so that wasn’t an option. I love your challenges. I learn so much from your journeys and can’t wait to apply the challenges myself. absolutely excellent. Funny that even as a complete amateur I’m tempted to turn my nose up at mono drums, but the truth is, a well placed single mic on a good drummer…drumming on a good song….mixed well, will likely come out sounding better than if I actually tried to mix a kit with 12 mics on it. I’ve been preaching your message non-stop for the last two years, brother. No excuses, go make some music! I’m finna release my own EP this weekend. All recorded and mixed at home, mostly on an iPad. If I might say so myself, it sounds pretty damn decent for a guy just getting started in the production game. Thanks again G. Keep up the great work. Here’s my EP. Give it a listen, TRR Fam! Nice songs and some excellent singing! Thanks everybody. I really appreciate the support and love! Just to plug it a bit more, I’m using the proceeds to raise money for a very worthy single mother and her children in the form of a grocery store gift card as a Mother’s Day surprise kinda thing. So if you feel so inclined, please don’t hesitate to donate and/or share it! Great drum sounds already! My ears want to hear another Samson mic for a stereo image….but nevertheless, kudos so far! This makes me wish I had a drum kit. Well that was refreshing to watch, a really usable sound, and one mic, perhaps it is the midas touch that does it? Great vid as always Graham..THX!!!! Excellent, Graham! Thanks for the inspiration. Can’t imagine what could be holding me back after that demo! It’s great to see what’s achievable with cheap and limited recording equipment. Surprisingly, the drum sound in this video is actually pretty decent to my ears, especially the kick (monstrous low end!). Although, it lacks a lot of beater attack, which would be a challenge to make it sit right with the bass. I’m not a fan of the snare or hi-hat sound; the snare is way too dry for my taste, and the hi-hat sounds pretty nasally, but that’s not the mic, that’s the snare and hi-hat themselves. You’ve certainly proven that you can get a more than useable sound with just one mic, although you’re obviously limited what you can do with it in a full band mix. The $300 Studio LIVES!!!! Great work Graham, you are really inspiring me to keep making great music with the gear I already have. I think it’s worth noting that using the same gear, you could just put in more effort and get even better results. For one, you could record the snare, kick, toms and cymbals separately, which demands quite a lot from the drummer, but you can make it sound amazing, since you don’t even have to deal with bleed. Or you could just use sample replacement if your drummer can’t get the same feel without the whole kit, that is also a huge advantage, but it demands quite a lot from you since you have to do it manually. nice challenge and nice video. You realy show here, that recording with just 1 mic is a hughe challenge and teaches you so much about mic placement. Everybody should start like that. If you can get a good sound out of your drumkit with one mic, adding more mics will just make the job easier for you. I got to test this challenge on my own! I own a pair of the samson mics and like them, too. But by now I only recorded a 6-8 mic setup on drums. But this mic does a good job on vocals, too. un. stinking. believable! this officially blew my mind. Graham, you are a monster. and a bit crayzee too. in a good way lol…blessings! Haha. I am crazy – it’s true. at the 2:03 min mark of the video, I can’t tell if you’re using some sort of pad or XLR mic attenuator going into the interface… Did you take into account that one piece of hardware in the list of things to have for your challenge? Again, not trying to be picky or point fingers, but the XLR connector looks pretty long to be just an XLR plug… correct me if I’m wrong… you get another look at it from another angle at the 2:11 min mark on your video. If it’s an attenuator or +4db pad or something like that, I’m not sure… Was that piece of equipment included in your $300 studio challenge gear list? Once again, kudos on your blog and all the work you’re doing. I enjoy it immensely. Cheers and enjoy your Easter weekend. Did you actually record with eq/compression/reverb? I saw your other post about recording with eq/effects, but wonder if you did that in this case. No. I’m just using the preamp in the interface so I don’t have EQ and compression to record through. For my personal taste it sounds a bit crammed (lacking a better description). There’s no breathing space in that mic position. It’s getting hit from everywhere, and that kick occupies a whole lot of the space. Which may be just fine if that’s what you are after. I would personally put the mic as an overhead, then parallel compress it and use drum samples to enhance the kick. But that also demands a better room. I think your placement is perfect if you record in less than ideal spaces. Nicely done! I’ll admit I had my doubts but you’ve proven a very good point…talent outweighs equipment regardless of cost. I’m a fan. Very inspiring! Thanks for sharing your ideas and techniques!